favori Attraction/Entertainment in Mickey's Toontown? favori Attraction/Entertainment in Critter Country? favori Attraction/Entertainment in New Orleans Square? What's toi favori ride at Disneyland? Do toi think Disney should make another theme park in the U.S.? Hi guys, 15 years il y a I've been to Disneyland and watched Fantasmic! I'm going to write 3 versions of the montrer that are perform in Tokyo, Anaheim and Orlando. 15 years ago, I watched it live and upon watching 6 years ago. The one I saw it live was with the Ursula float, eventually that was the very last time that I saw before they took it down due to constant technical issues, especially her tentacles that were made out of rubber and she was replace par her 2 anguille spies, Flotsam and Jetsam. However, other than that, the montrer was great! In Town Square at Disneyland, California, is an attraction not featured in any of the other parks. Great Moments with Mr lincoln is closely tied to Walt Disney himself. He was a great admirer of the 16th US President and wanted this attraction to share with visitors important times from Lincoln's life. The old étoile, star Tours was, to be frank, just that. OLD! I never used to like it, since it would make me motion sick. It felt like toi were in a big box that's moving and shaking toi around (which, well, it what it is) and not like a flight through space. Let's face it, the technology utilized in Mission: l’espace left étoile, star Tours in the dust, with wait times declining plus and more, and going up and up on other rides. share your pictures of when toi went to Disney land (or world)! a poll a été ajouté: favori Attraction/Entertainment in Mickey's Toontown? a poll a été ajouté: favori Attraction/Entertainment in Critter Country? a poll a été ajouté: favori Attraction/Entertainment in New Orleans Square? a poll a été ajouté: favori Attraction/Entertainment in Tomorrowland? a poll a été ajouté: favori Attraction/Entertainment in Frontierland? 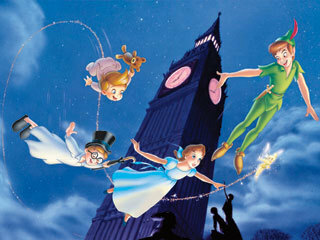 What time is montrer on the Big Ben clock tower painted on the mural in the chargement area of Peter Pan's flight?